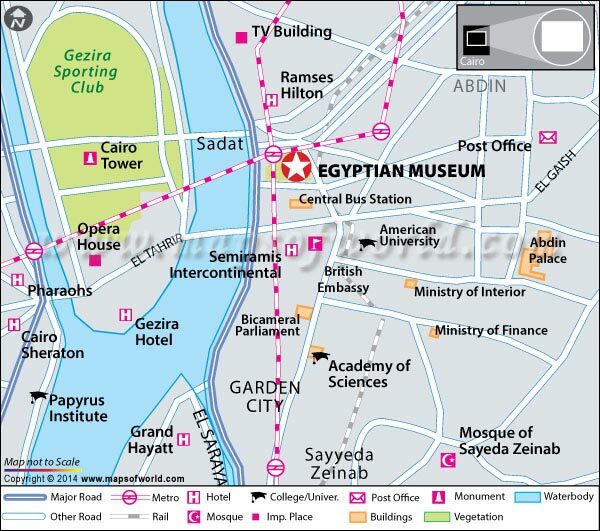 It is located right in the middle of down town Cairo, in Tahrir Square. 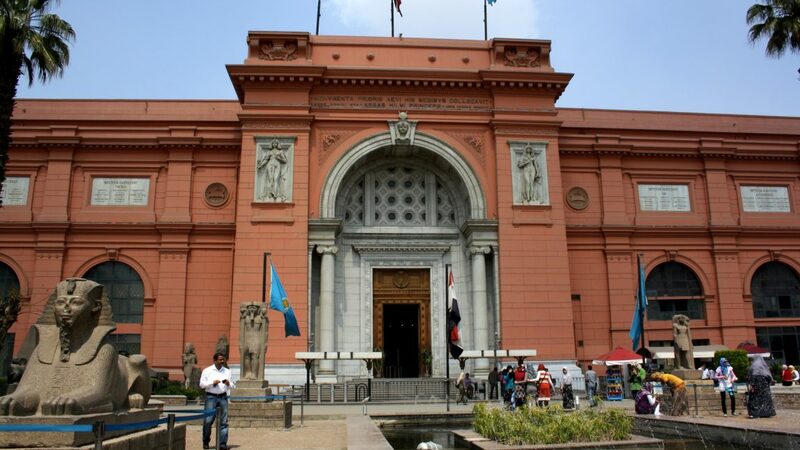 It is the biggest treasure of ancient Egyptian artifacts. 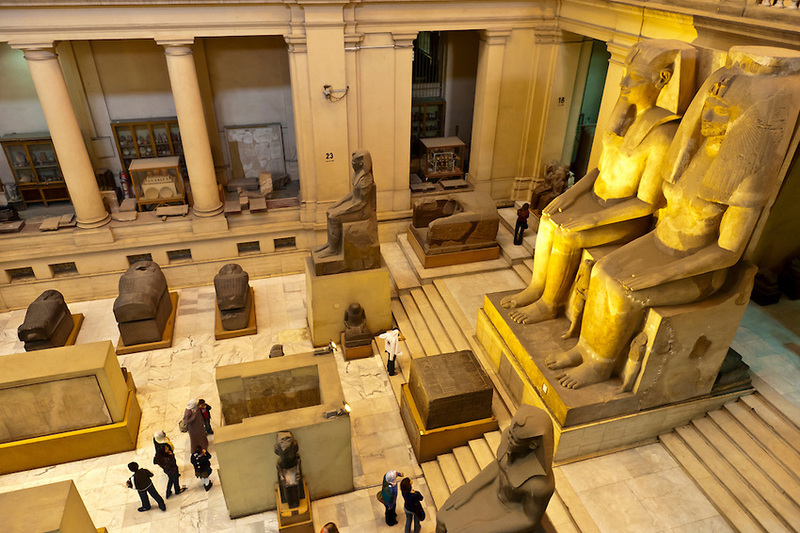 Whether it’s a wrapped mummy or a granite statue or pure gold, it’s all there in the Egyptian museum. The space of the museum is huge and is as rich in history as the artifacts it houses. Apparently, by the late 19th century and early 20th, there was so many discoveries being made and artifacts collected that the Egyptian government established a museum in 1835 near the Ezbekeyah Garden. All artifacts were moved from one building to the other until 1902 when everything was finally settled right in its present location. 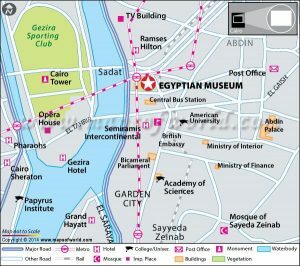 The best way to reach the Egyptian Museum is by Metro, it leaves you right in the middle of Tahrir Square then it’s just a matter of crossing over a few streets to reach that huge orange building. 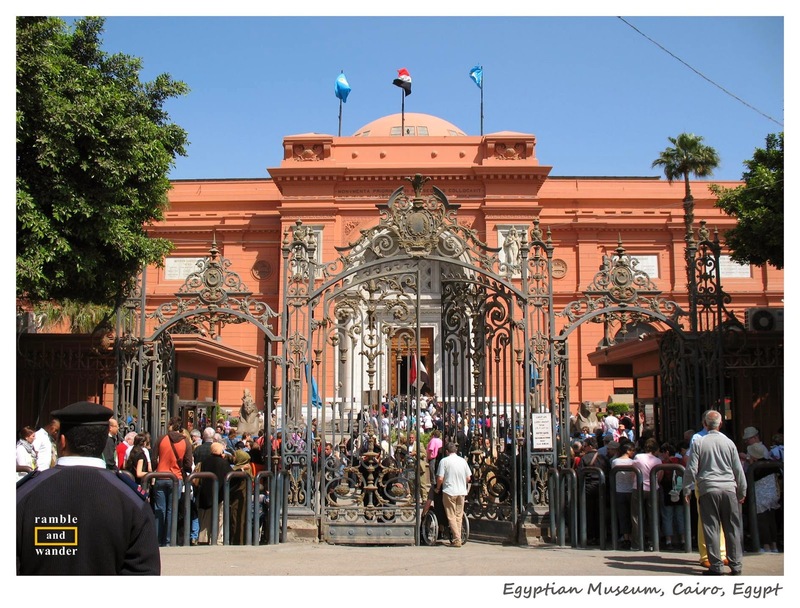 Once inside its iron fence, there was a hustle and bustle and numerous tour buses parked all around. Once inside the museum, it was noisy and busy with tourist groups all over there. 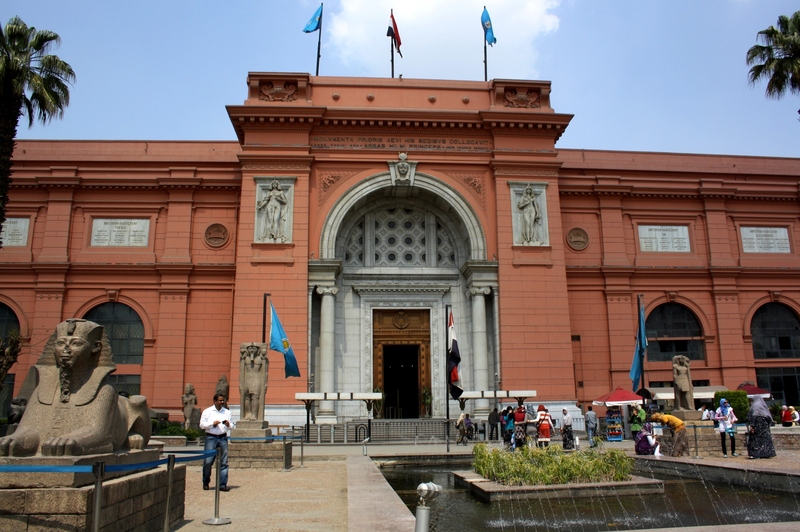 The interior of the museum is gigantic with colossal statues inside. There’s something displayed in every single corner and every single hall. 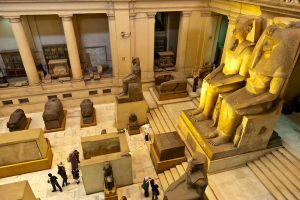 Even as we went up the stairs to see the Tut Ankh Amun’s collection, there were fantastic drawings with hieroglyphic writing and drawings of ancient Egyptian gods in burial and religious rituals. 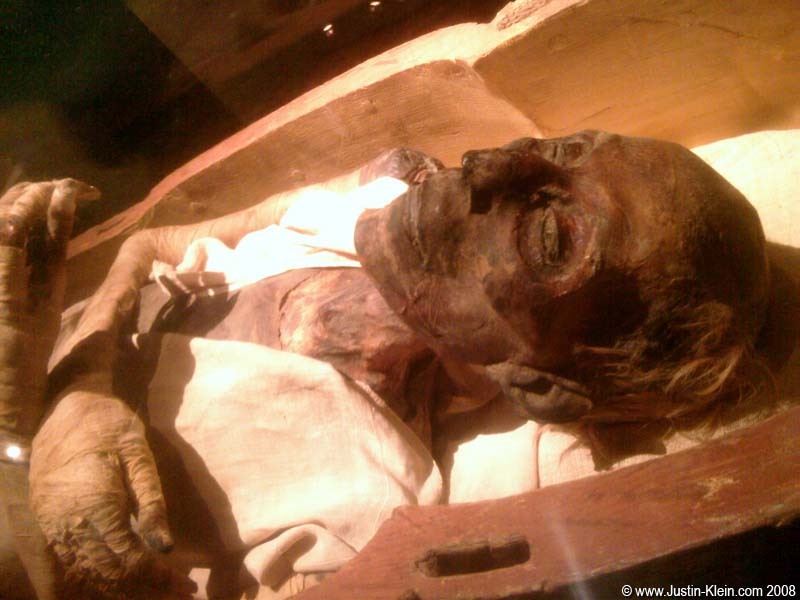 The beauty of the collection of King Tut was not disappointing either. The painted gold masks, jewelry and black and white photos of the tomb as it was discovered in the Valley of the Kings in Luxor, left us with an overwhelming feeling of adventure, discovery and mystery. Then of course the mummies are a must see. Well preserved and so real with hair, nails and facial features. Well, a bit too long in the mummy room proved a bit too freaky for my taste, but it was well worth the visit! Time flew by amazingly quickly as there are large spaces to walk through and so much to see. I think I’ll come again to discover more. “If you are would like to learn Egyptian Arabic online, choose Arab Academy, the leaders in online Arabic education!